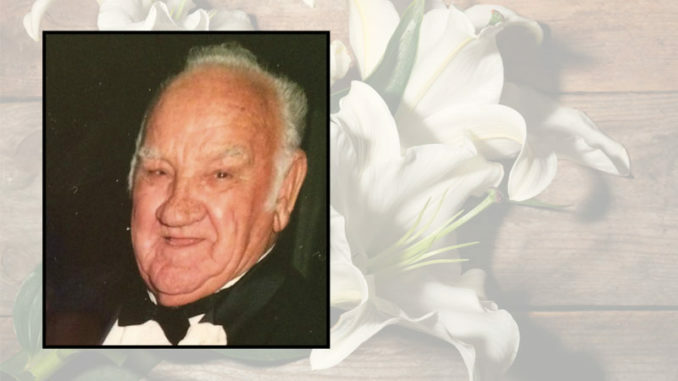 Milton Joseph Baudouin, 88, passed away peacefully while surrounded by family on March 19, 2019. Born July 9, 1930 to the late Edwin Sr. and Noelie Champagne Baudouin, he was devoted husband of 60 years to the late Noella Baudouin; cherished father of Deborah Roussel, Peggy Tregre (Karl) and Roxanne LeBlanc (Gerald); loving grandfather of Corey and Derek Roussel (Lacy), Mandy Vanderbrook (Scott), Joshua Tregre (Orie) and Trudy DiMarco (Cody); doting great grandfather of Edie Vanderbrook, Bree DiMarco and Lucca Roussel; brother of Donald and Lorraine Baudouin, Merriel Estay, Noelie LeBlanc, Dorothy Borne, Thelma Nicholas, and the late Lawrence, John, Victor, Herman, Edwin Baudouin Jr. and Bernice Travassos. Milton was a proud veteran of the United States Army. He enjoyed woodworking, gardening and he was a huge LSU fan. Milton retired after 27 years of dedicated employment at Monsanto Co.
Family and friends are invited to attend funeral services being held at Our Lady Of The Holy Rosary Church located at 1 Rectory Lane in Hahnville on Thursday (March 21) at 11 a.m. Visitation will be held from 9 a.m. until 11 a.m. Interment to follow at Holy Rosary Cemetery in Taft, La.